You work hard in the gym, get out on the trail for cardio and are on the go most of the day – so you can eat as much as you want, right? If only life was that easy! Yes, you need the right amount of calories to support all your energy-burning activities but even the fittest people need to resist the temptation to over-eat. Working out the appropriate number of calories you need is one thing, but to keep your nutrition on track, you also need portion control. We’ve weighed up the best tips to help you ensure you’re getting the right portion size for you. When managing your portion control, hunger is not your friend. If you are hungry, you’re more likely to eat a larger portion than you should or overeat and go back for seconds. So, the first tip in our guide to eating the right portion size is never skip a meal. Key to eating well and sticking to the right portion size for you is to eat regularly – and that means never going longer than five hours without eating. For most people, this means three balanced meals and two healthy snacks – mid-morning and mid-afternoon – to keep your energy levels sustained and the tempting cookie jar at bay. The old adage, ‘our eyes are bigger than our bellies’ can often apply when we look at our food, especially if we are hungry, and we often over-estimate what a healthy portion should be. Without knowing what the right portion size looks like, we will most likely be heavy-handed when we ‘freestyle’ with our food. If you have ever poured in a little bit more ‘just in case’ when adding rice or pasta to the pan, then you’ll know what we mean! So, if you don’t know what a third of a cup of rice or 75g of dried pasta looks like then take the guesswork out of your portion sizes by reaching for those measuring cups. Measure out your food portions often enough and you should have a good visual idea of how much spaghetti or macaroni you should be eating the next time you go it alone. One way to work out appropriate portion sizes without a measuring cup or weighing scale is to take it into your own hands, quite literally. You can use your hands as a gauge of how much food you should be cooking with, they will typically correspond with your overall body size. And if you have big hands, then the chances are you need bigger portions. Fats (such as cheese, butter or nuts) – no more than two thumb-sized portions. You can also use your plate as a way of working out the correct amount of each food group you should be eating in one meal. You can actually buy dinner plates that help you – they are imaginatively called ‘portion plates’. As a rough guide, these handy dishes indicate the proportions of protein, carbs and fats you that should be making up your meal. Or you could get hold of a marker pen and make your own. 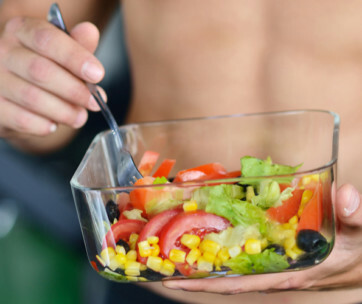 As a general rule of thumb, you should be aiming for half a plate of vegetables or salad, a quarter of high-quality protein and a quarter of complex carbs (whole grains and starchy veg). You can also leave a little space for no more than half a teaspoon of good fats such as oil or butter. 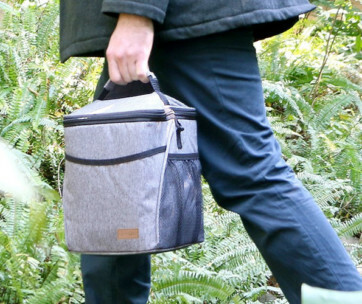 This approach can also be used for your lunch boxes or meal prep containers. Remember though, these are intended as a guide, you need to make sure your overall portions match your activities levels as well as any specific dietary requirements you may have. When faced with a full plate it’s tempting to eat everything, regardless of how your stomach feels. But over-eating is not going to do you any good, even if you are following our portion control tips. And feeling full enough to burst is going to make you feel sluggish, and more likely to head to the sofa rather than keeping active. A good tip to finding the portion size that is right for you is to eat until you feel about 80% full, which is roughly when your hunger should be satisfied. And, as it can take your brain up to 20 minutes after you stop eating to actually register whether you are full, if you have the right portion size you should then feel nicely satisfied, rather than bursting at the seams. If you need a little booster to help you stick to your portion sizes come mealtime, then drink up! Sadly, we’re not talking beer but a glass of water. Drinking some aqua pura up to 30 minutes before a meal will help to fill you up and make you feel less hungry. Being well-hydrated can also help you know the difference between hunger and thirst, something that can get confused when your water levels are low. Treat your mealtimes as you do your work diary, social life or gym schedule and totally prep like a boss! 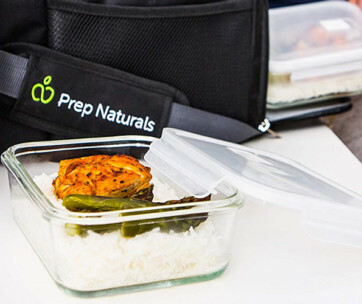 Planning your meals in advance – we’re not expecting a full week’s itinerary here, a day at a time is good enough – will help you keep your meals to size and prevent you from ‘panic cooking’ when time is tight or you’re hungry and tired. Even if you don’t have the time to ‘batch cook’ and fill your meal prep containers, having a plan for what you will eat during the day ahead will stop you going ‘off piste’. Make sure you have the right things in your kitchen cupboard and keep some energy bars or protein bars in your rucksack or gym bag for those moments when you need a snack to curb those hunger pangs. Who doesn’t love a night out? Unfortunately, a night out on the tiles is a sure way to undo all your good portion control work. And while a blow out every now and again is a good thing, it’s also a good idea to have a portion strategy if you eat out regularly otherwise you could be undoing all your gym-honed good work. First up, restaurants will serve mega-portions (on average up to 2.5 times larger than a standard size) so having a clear idea of what the right portion size for you is before you sit down to eat is a good way to go. Try to fill your plate up with vegetables and ask for sauces and dressings to be served separately so you can choose just how much you pour onto the plate. And remember, you don’t have to eat everything on your plate – most restaurants are ok if you ask for a ‘doggy bag’ and take what you don’t eat home. Just don’t be tempted to finish it off as a midnight snack but pop it in your lunch box and give your next day’s meal prep a tasty head start.